Seriously, we try to do things that we enjoy, and that we think that you will enjoy. If any o fyou out there were listenting to our aimless conversations… well, first let me apologize for wasting so much of your time. Second, let me thank you for your patronage. Finally, we’d love to hear from you. Tell us what we did right. Tell us what we did wrong! Until we start hearing what you want to see more of and what you want to see less of, we are going to keep doing stuff we think we will be fun, then abandoning it in favor of our next passing fancy. We’re BrainLazy. It’s what we do. Editor, Writer, and general Knower-Of-Words, if there is text to be read on BrainLazy, Joseph Lallo probably has his fingerprints on it. 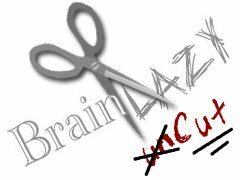 As the final third of the ownership and foundation of BrainLazy, Joseph “Jo” Lallo made a name for himself when he lost the “e” from his nickname in an arm wrestling match with a witch doctor. Residing in the arid lowlands of the American Southwest, Joseph Lallo is a small, herbivorous, rabbit-like creature with the horns of an antelope. He sleeps belly up, and his milk can be used for medicinal purposes. Joseph Lallo is also author of several books, including The Book of Deacon Series, book 1 of which is available for free here. Message from server: Not Found. Check in YouTube if the id ThePhawx belongs to a user. To locate the id of your user check the FAQ of the plugin. Copyright BrainLazy.com. All Rights Reserved.